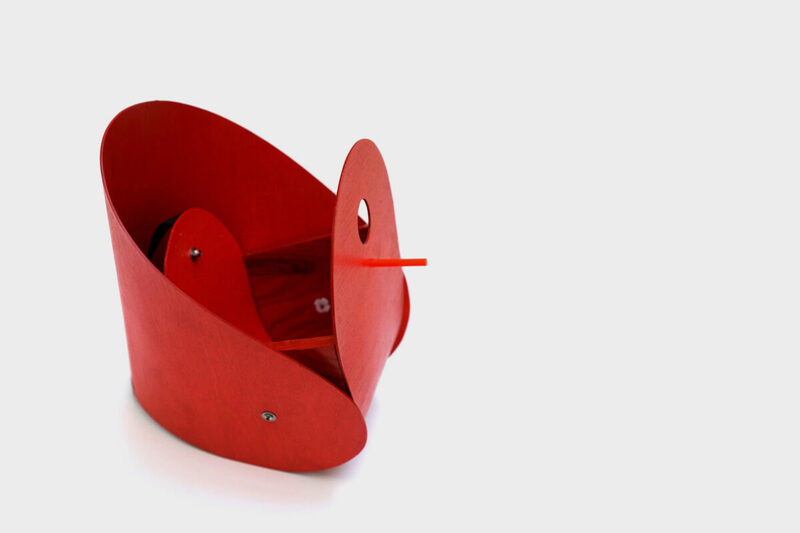 The shape of the bird box derives from the the flexibility of the wood used. Different models were made out of cardboard and later on of aircraft plywood in order to find the optimal shape and size. Opening the box is particularly related to the flexibility of the material. 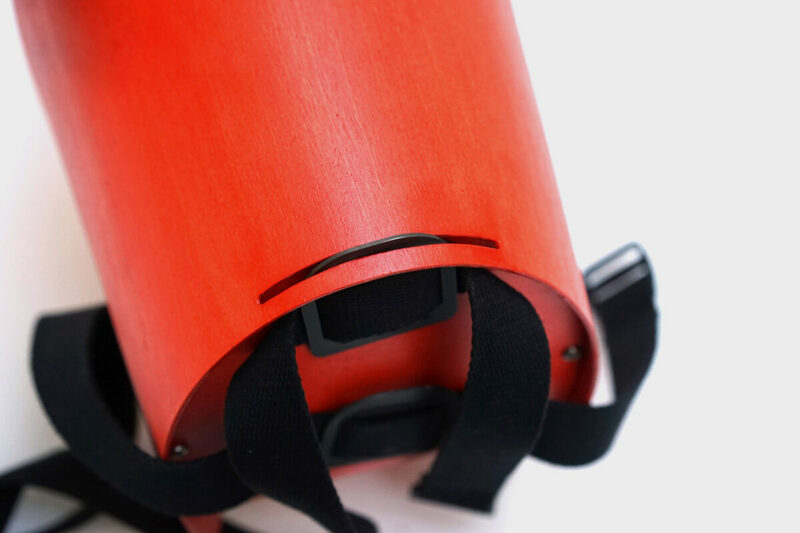 The characteristics of the wood were crucial for the design. 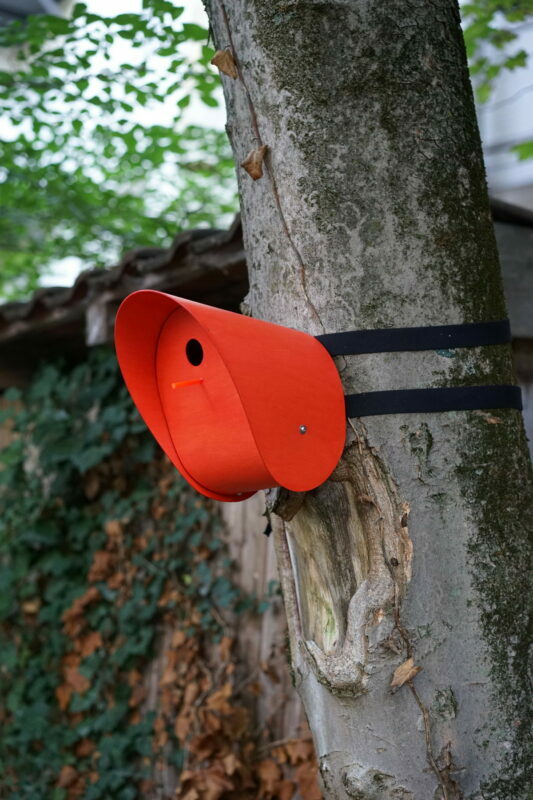 The single parts of the bird box are CNC milled and can be easily produced in large numbers. 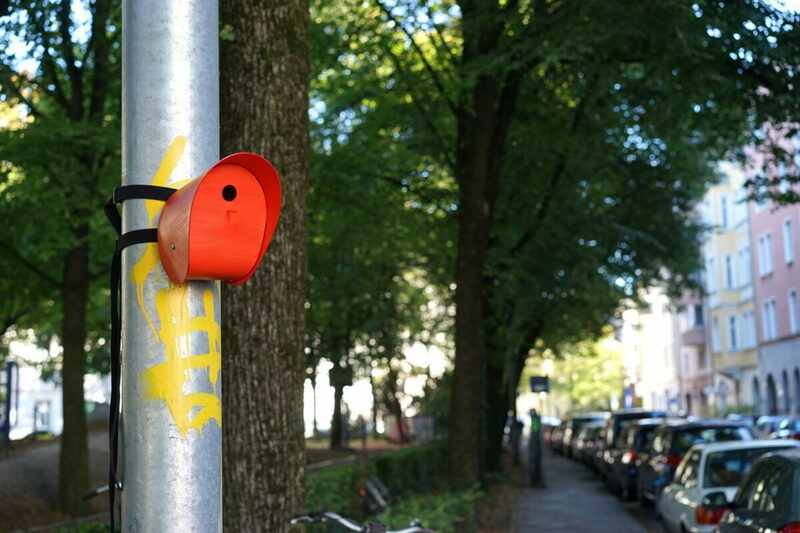 Cities belong to the natural environment of numerous bird species. As the urban areas grow and get more and more densely constructed/build up, lots of birds can’t find sufficient nesting sites. Especially the bird species with particular demands/requirements to their environment suffer from the loss of green spaces and parks. 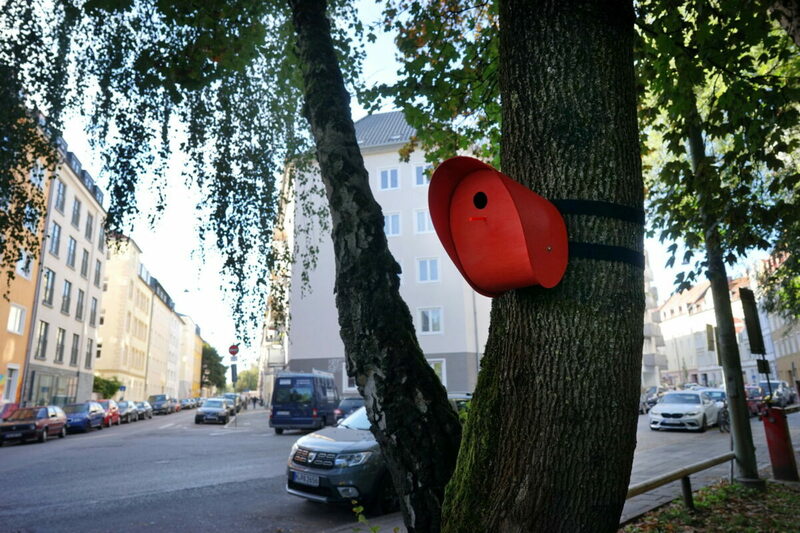 The bird box should offer birds the possibility to nest throughout the city. 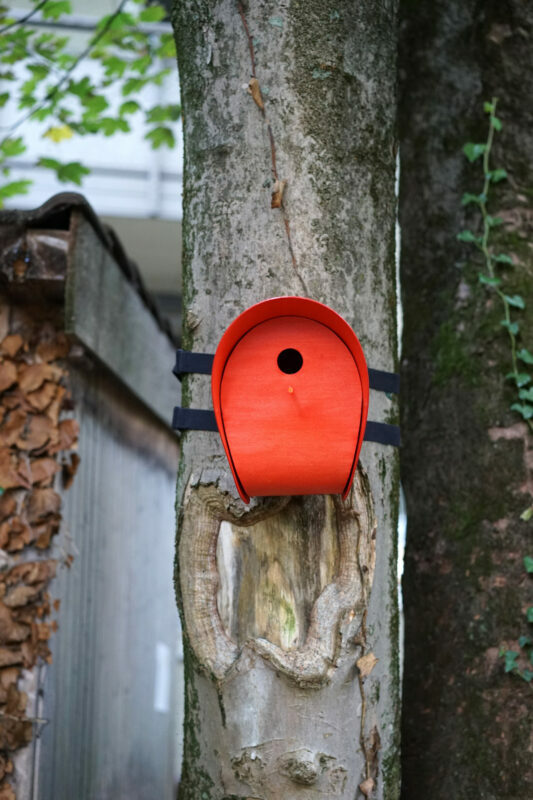 Even without a balcony or a garden and even without a tree in front of the house everybody can create a new habitat for birds. Die Form des Vogelhauses ergibt sich zum Teil aus der Biegsamkeit des verwendeten Holzes. 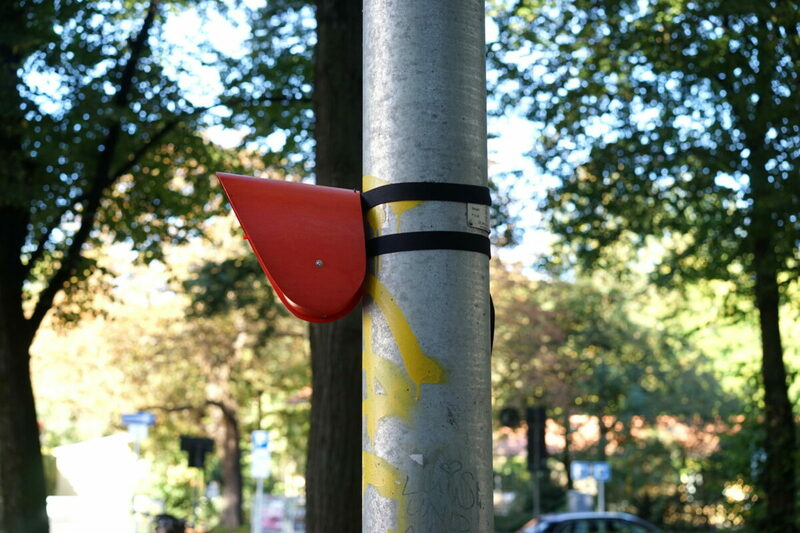 Während des Modellbaus wurden daher verschiedene Modelle, erst aus Pappe, später aus Flugzeugsperrholz gefertigt, um die optimal funktionierende Form in der richtigen Größe zu ermitteln. Vor allem das Öffnen des Hauses hängt maßgeblich mit der Biegung des Holzes zusammen. Bei der Entwicklung des Vogelhauses sind daher die Materialeigenschaften des Holzes entscheidend für die Form des Entwurfs. Die Einzelteile des Vogelhauses sind alle CNC gefräst und können so einfach in großer Stückzahl reproduziert werden. 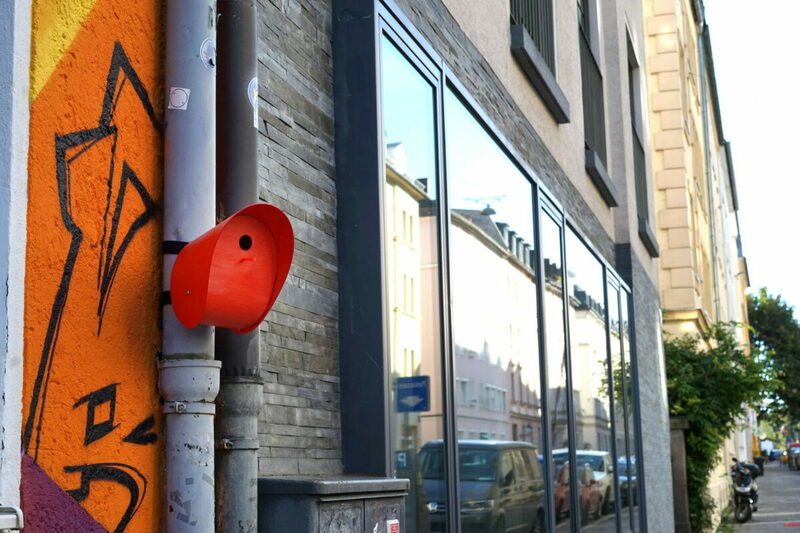 Mithilfe der Gurtbänder kann das Haus nicht nur einfach an Bäumen befestigt werden, sondern auch an Laternenpfählen, dem Fallrohr einer Regenrinne oder dem Balkongeländer. Demontiert ist das Haus dank des dünnen, biegbaren Materials komplett flach und kann so einfach verschickt werden. Das Set, bestehend aus 9 Teilen kann zuhause einfach mit den mitgelieferten Schrauben montiert werden. Zum Säubern lässt sich das Vogelhaus über einen Drehverschluss auf der Rückseite öffnen und aufklappen. 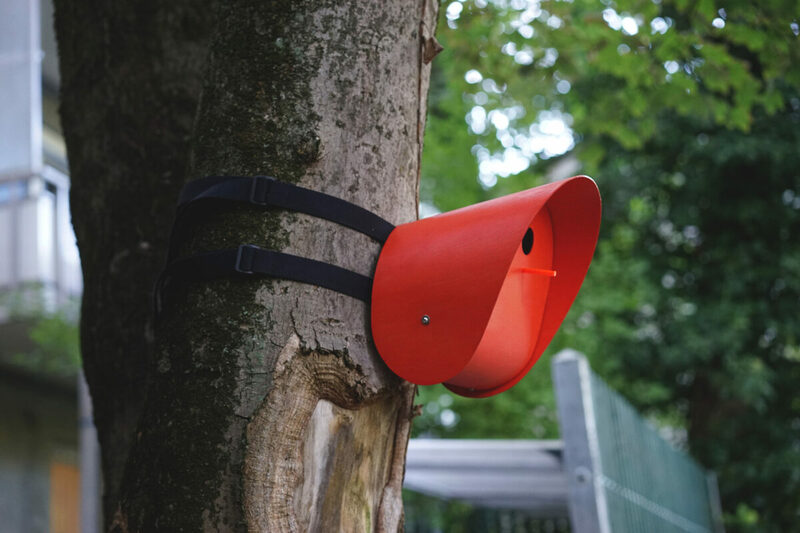 Through the lashing stripes the bird box can be easily mounted on trees, lampposts, downspouts of rain gutters or on the balcony rail. 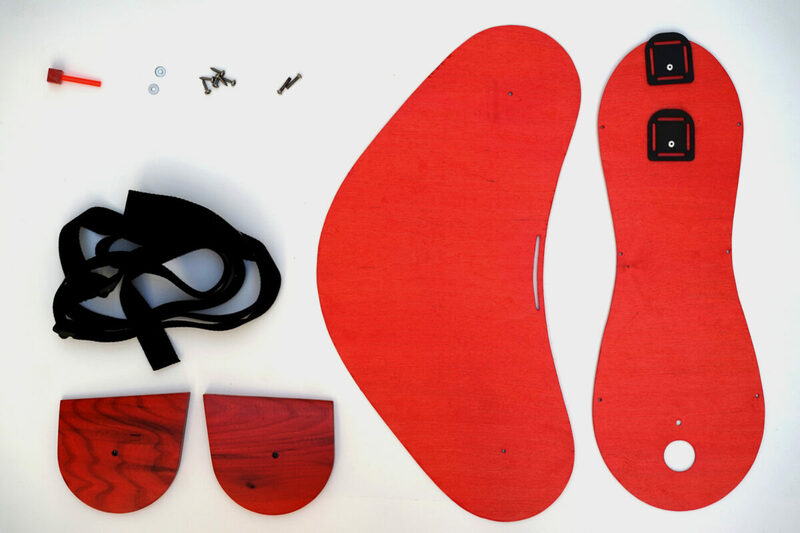 Thanks to the thin and flexible material the disassembled parts can be flat packed and shipped. The set consists in 9 parts which can be mounted at home with the provided screws. To clean the box there is a screw cap on the back to open it.